Words can’t really describe what we want to say but I’m sure you will know how we feel. Thank you for guiding us from our disappointment at the very beginning to the most wonderful wedding anyone could have ever imagined. Thank you for all your guidance in finding Jim who captured the story of the day. Sherie for making Vasilias so special. Annivia who’s flowers brought romance and elegance to the wedding. Danny, Karina and husband (sorry could’nt remember his name) for playing lovely music during our meal and perfect choices of music for the evening which all of our guests commented on. Anna for making us feel very comfortable, at times so discreet we did not realize she was filming us. Maria for working miracles on Pats hair and Danniella for performing magic with her brushes. Pat felt very special. To the Cypriot dancers who really did get the party going. Great fun. For liasing with Christina and her family at Vasilias to make the day perfect. For recommending Cy-Breeze who’s cars and service were excellent and for finding the most wonderful coach transport to the venue. Our family and friends all thought that it was a perfect start to the day. Wherever possible we will be going on the various web sites and forums to express our thanks to all those we have mentioned, but, it will take a little time. Please thank Budge for two wonderful meals (and the vodka and water melon special). We have put a message on Trip Advisor regarding the restaurant and we have also put a message on Zaffron Weddings forum. We will shortly be sending the pictures to you via a web link on a seperate email. Please give me a call if you have any problems and I will send them to you on a memory stick. Kelly and Colin gave us a wonderful homecoming, luxury transport home from the airport. On arriving home more champagne, cake and lots and lots of confetti which we are still finding in the most unusual places!! Also loads more tears. Stella, from the bottom of our hearts thank you. Our day was full of love, emotion and endless happiness. You are a friend forever. We met in March 2008, in town in a bar called Modo! I worked there selling shots and Jay use to drink there each weekend. I got to know him, his brother and friends through them buying drinks from me. 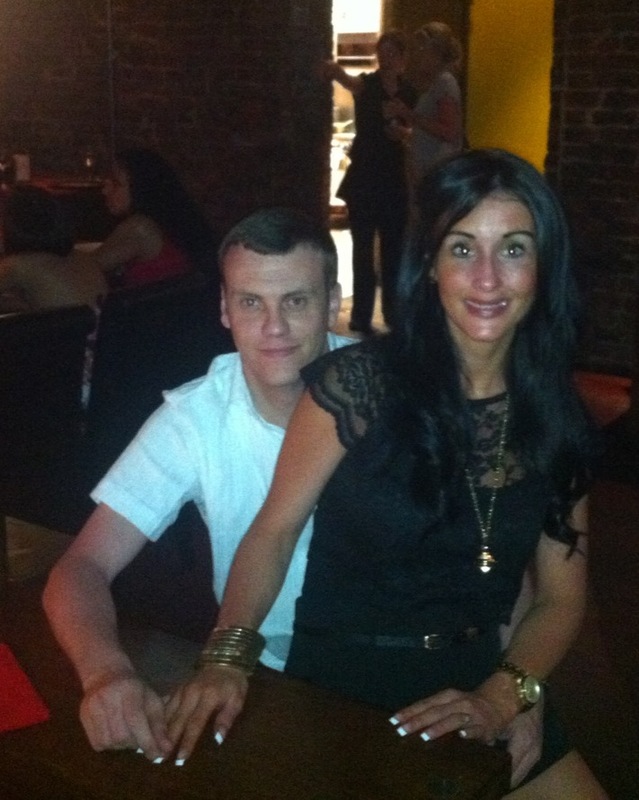 We went on our first date to a lovely restaurant inLiverpooland things blossomed from there. On Bonfire night, of the November of 2009, Jay proposed to me. His plan had been to propose in New York were we were going on holiday a few weeks later, but he couldn’t wait. It was perfect, I was just so excited and wanted to plan are wedding there and then. We chose to marry inCyprus, due to wanting a country that was very English, and somewhere that would guarantee sun on our wedding day. I had heard many good things aboutSt George’sChapel, and knowing that we still wanted a church wedding with being abroad that finalised our decision. I then went on to look for a wedding planner and found Stella through the Zaffron wedding website, and that has turned out to be the best thing ever. Stella has done nothing but be helpful since the day I first spoke to her. Could not of picked anyone better. We went to visit Cyprusto meet Stella and see the church and venue and were blown away, it was so much more than we could have asked for. Through Stella taking us around to different churches and Venues, our hearts were set on St George’s Chapel were we will marry on 23rd July in Paphos, then our reception at Ayii Anargyri. The amazing scenery just sold it for us. Since getting in touch with Stella in the January of 2010 we now have a 1 year old Baby boy, Jacob! And he along with 40 close family and friends will be joining us over inCyprusfor our special day. 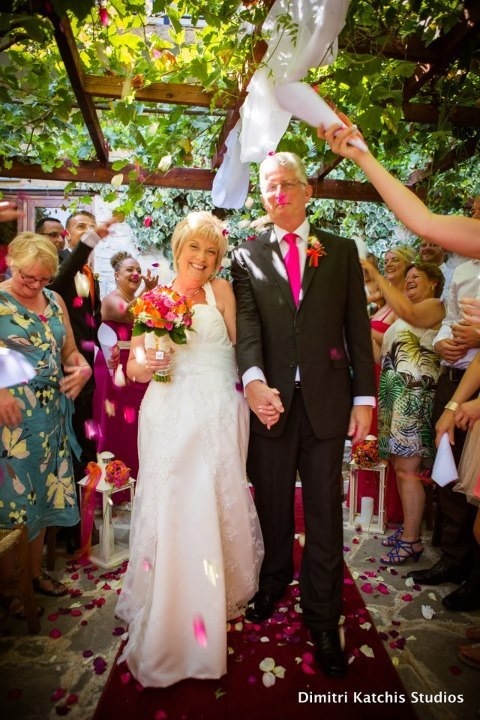 We looked at many different venues and options when planning our wedding but we decided upon Cyprus because of it’s many idyllic venues and perfect weather. 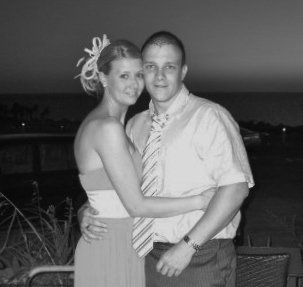 My sister got married in Cyprus in 2009 and her wedding was beautiful and perfect. We wanted an outdoor wedding and pondered a few different options and then you introduced us to Ayii Anargyri and we fell in love with the venue straight away. It is a spectacular setting for an outdoor wedding. The ceremony will take place in the court yard outside the monastery and we are having a BBQ reception at the poolside. We are planning our wedding on a very tight budget, so I have made pretty much everything myself – the save the dates, invites, favours, table numbers, seating plan, order of service etc. Our wedding is going to be very shabby chic! Very simple but elegant. I love the vintage look and have found the perfect vintage style wedding dress! Your birdcages and a lantern candle-lit dance floor are going to set it off beautifully. We are bringing about 60 guests over from the UK with us to celebrate our wedding and we are all very very excited!! 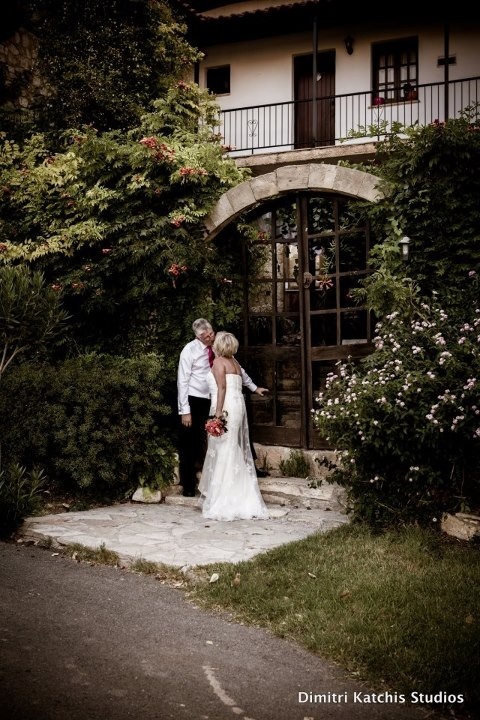 We looked at many different venues and options when planning our wedding but we decided upon Cyprus because of it’s many idyllic venues and perfect weather. 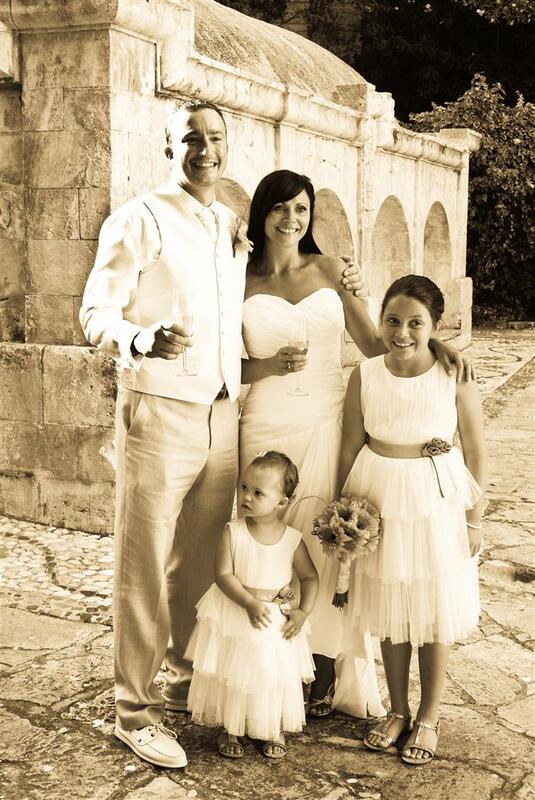 My sister got married in Cyprus in 2009 and her wedding was beautiful and perfect. She had her reception at Zaffron’s and this is when we met Stella. Zaffron’s is a fantastic venue to host a wedding reception as the food is to die for & the service out of this world! Stella was such a big help that day making my sister’s reception perfect that we chose to have Stella co-ordinate our wedding – She is my fairy godmother! We wanted an outdoor wedding and pondered a few different options and then Stella introduced us to Ayii Anargyri and we fell in love with the venue straight away. It is a spectacular setting for an outdoor wedding. The ceremony will take place in the court yard outside the monastery and we are having a BBQ reception at the poolside. We are planning our wedding on a very tight budget, so I have made pretty much everything myself – the save the dates, invites, favours, table numbers, seating plan, order of service – you name it & i’ve probably made it!! Our wedding is going to be very shabby chic! Very simple but elegant. I love the vintage look and have found the perfect vintage style wedding dress! Stella’s beautiful birdcages and a lantern candle-lit dance floor are going to set it off beautifully. We are bringing about 60 guests over from the Merseyside with us to celebrate our wedding and we are all very very excited! !